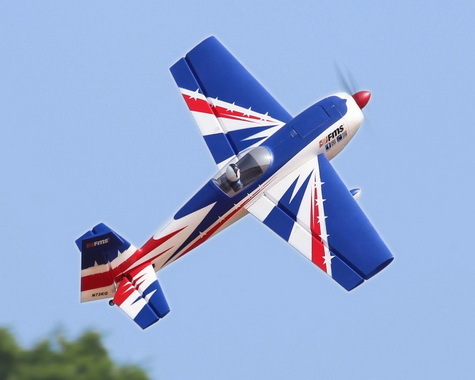 Electric brushless motor makes this low wing airplane the perfect step up for beginner fliers! Improve your technique with dynamic sports flight performance! Can be upgraded to the ST (Stunt) version! 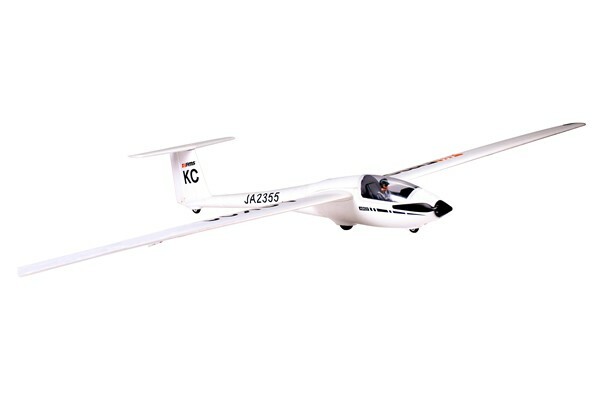 The CALMATO SP EP 1400 trainer combines the maneuverability of its low wing design with beginner-friendly stability credited to the unique semi-symmetrical airfoil of the rectangular-shaped main wing. 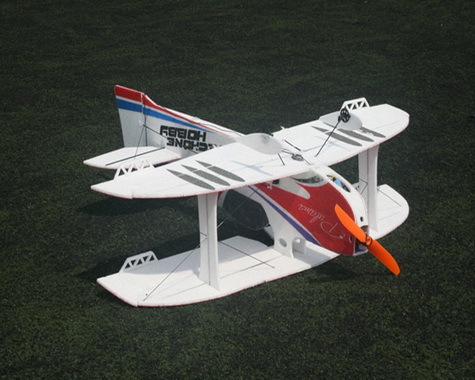 Sharp forward penetration is backed up with flight characteristics that compensate for beginner fliers’ tendency to use too much control input and makes the airplane difficult to stall. In addition, the electric motor means there’s no oil mess to clean up afterwards and no engine starting tools needed to get airborne so there’s more time to develop your flying skills. 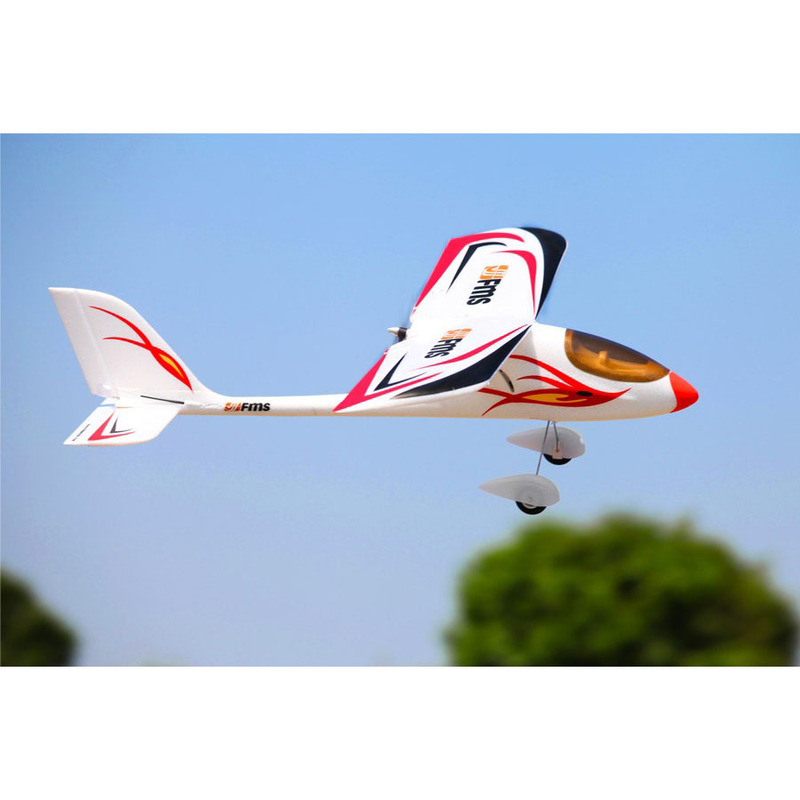 The dynamic maneuverability of the low wing design makes the CALMATO SP EP1400 an ideal introduction to stunt flight. Pre-covered in film, the kit’s high-degree of pre-assembly requires no gluing for completion and the design features KYOSHO’s famous attention to detail and workmanship. This fully-equipped kit also includes brushless motor, propeller and spinner, and only requires a few additional items to get airborne. Also, if you’re ready to challenge even higher level flying techniques, install the optional main wing, 2-wheel landing gear and tail gear etc. to upgrade your stunt flight performance to the even higher level specifications of the CALMATO ST EP1400. 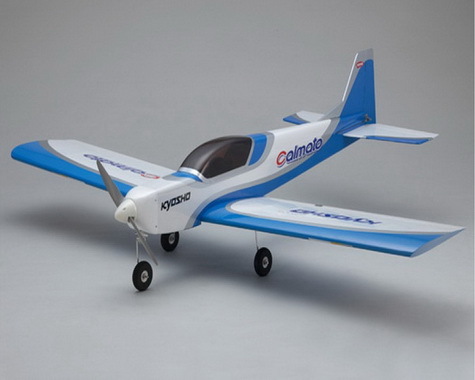 Fly into the blue sky in style with the CALMATO SP EP1400!